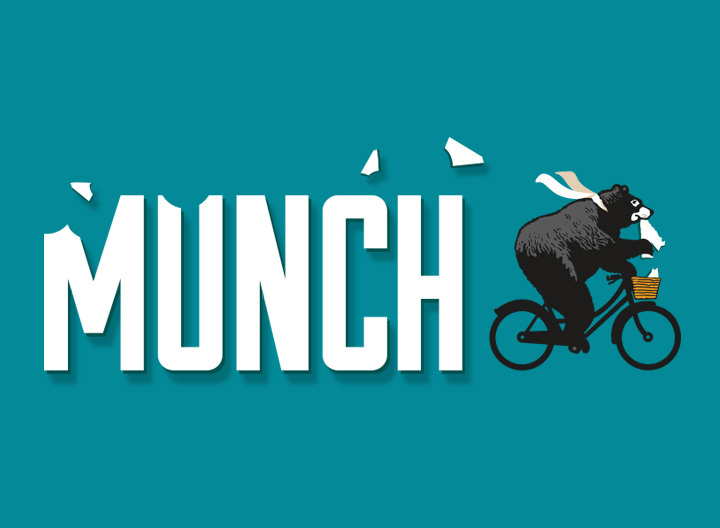 Pure has revamped WH Smith food-to-go brand, Munch, in conjunction with manufacturer and supplier, Greencore PLC. The range is sold in hundreds of WH Smith travel stores found in rail and bus stations, airports, hospitals and motorway services across the UK. 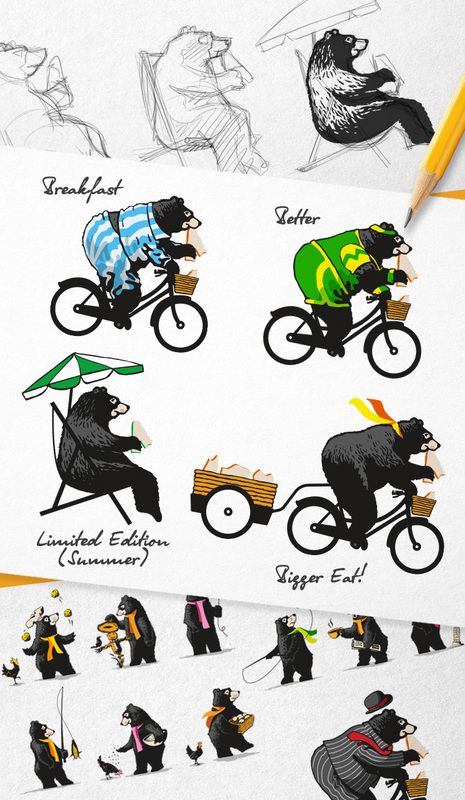 Although there were strong aspects to the original brand design and the name is distinctive and memorable, one of the primary reasons for the redesign was to improve range navigation. In WH Smith travel stores the emphasis is on speed - serving customers quickly so they can continue on their journey. For the core range, Pure’s refresh employs striking colours that consumers now associate with different protein groups and the product titles are larger and more prominently positioned then before. 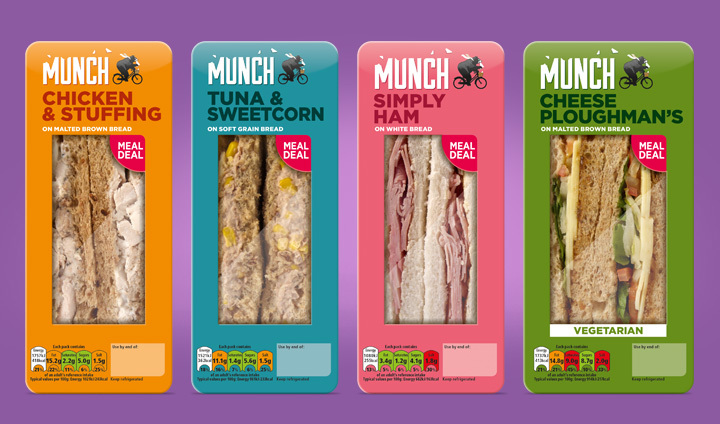 The use of bold colour has a secondary benefit of increasing the brand’s impact on shelf. 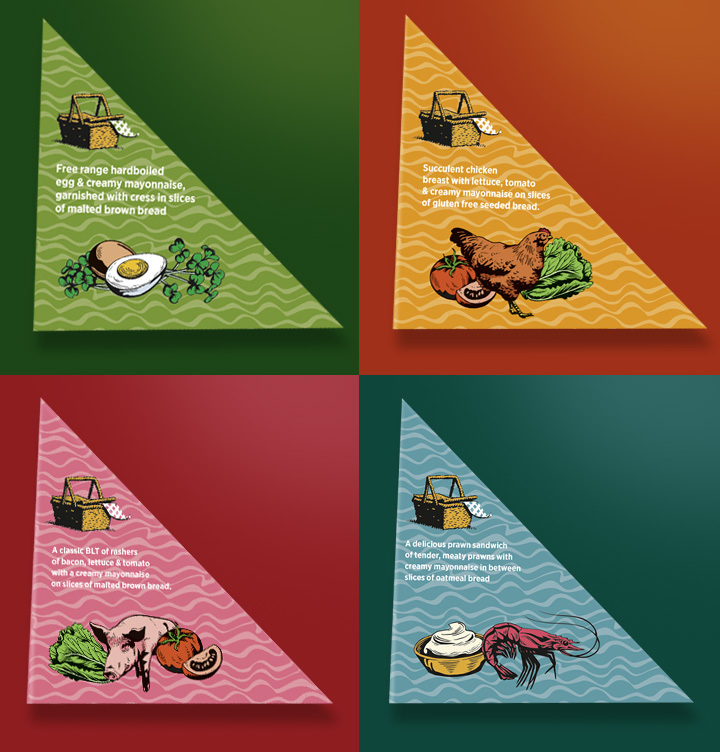 Additional illustrations were created to provide food cues to complement side of pack descriptors. 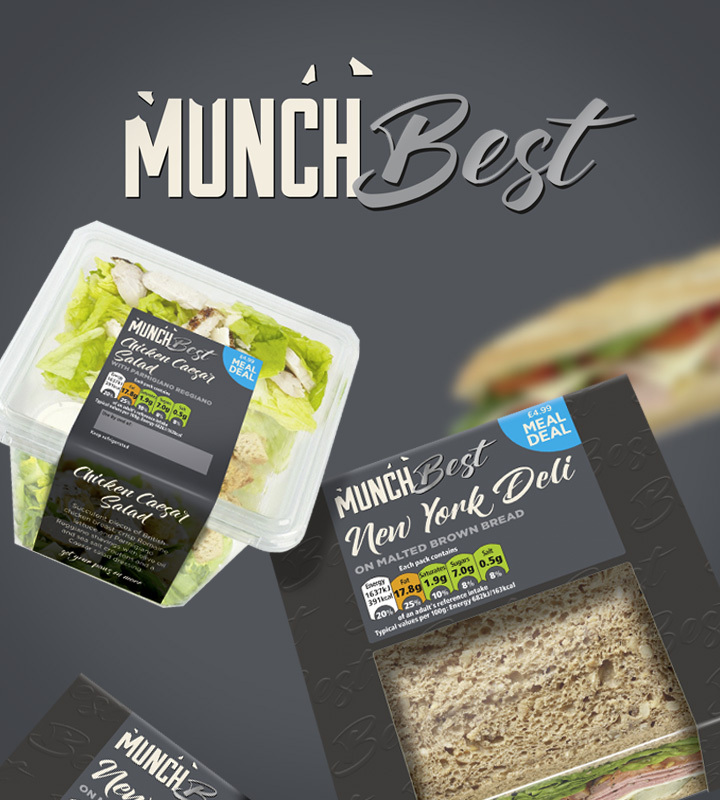 The Munch Best range was given a completely new look to reinforce superior product quality and support the higher price point, using a handwritten font on black to evoke associations with a deli menu board.